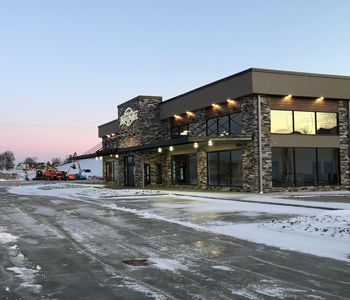 We are proud to be East Central Ohio's trusted source for Construction Equipment Rental, for industrial and professional contractor use as well as Homeowner Do-It-Yourselfers. We rent Excavators, Dozers, Telehandlers, Aerial Work Platforms, Air Compressors, Generators, and much more. Check out our extensive list of tools and rental equipment for your home repair and improvement projects, including drywall tools, heating and cooling equipment, concrete and masonry tools, scaffolding, ladders and lawn equipment. We are also proud to be an Authorized Dealer for new Yanmar, Cub Cadet, Ferris, Toro, Echo, Dolmar and Shindaiwa outdoor power equipment! We have Vortexx pressure washers and LB White space heaters as well. Whether you are a discriminating professional or homeowner, we offer some of the finest outdoor power equipment on the market today. Are you concerned about service after the sale? Our factory trained service techs provide excellent service and repair for all the equipment we offer as well as most other brands! 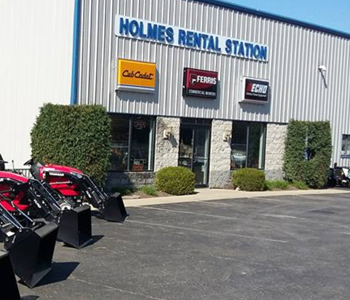 Your equipment is in good hands at Holmes Rental! We have over 18 years of experience providing the equipment you need to get the job done right. We are a factory authorized service center for Sno-Way and Meyer snow plows; JLG, Yanmar, Cub Cadet, Ferris, Toro, ECHO, Dolmar, and Shindaiwa equipment; Vortexx pressure washers; LB White space heaters; and Kawasaki, Kohler, and Briggs & Stratton engines. We service everything we sell and most other major brands as well. Our team of factory-trained technicians are ready to assist you with whatever service issues you encounter. · If you opt to do an estimate, we will call you when the estimate has been assessed. If you decline to continue with the repair you will incur a $35 diagnostic fee excluding delivery charge (if applicable). · We do only what you tell us to do. We will notify you of concerns we have for your unit, however if you do not authorize a repair then it is our policy to not do it. · If parts are on order for your unit you can call the store you ordered from to check status. However, there is no tracking for most parts. Most parts orders come within 2-4 business days except for back-order items. · If we notify you that your repair is complete, you must either pick it up or arrange delivery of your unit within 30 days! Otherwise there will be a storage fee of $2.00 per day for keeping your unit at our location. If you don’t pick up or arrange delivery of your unit within 60 days after completion of the repair, we will consider the equipment abandoned and dispose of it at our discretion. · Winter or Spring service specials may be eligible for free pickup and delivery (please ask for details). · Scheduling delivery only happens AFTER payment has been received. Cash and checks are accepted in the store or you can pay over the phone with credit/debit card. · Pickup and delivery are scheduled on a first come/first served basis. Depending upon the season, pickup and delivery can take up to 2-5 business days. To reduce scheduling conflicts, if you will not be at home, you may want to have the delivery driver pick up the unit from, or deliver the unit to your driveway. If you will not be at home for delivery, you may request a copy of the bill dropped off with your unit. · Warranty claims are processed by us, however after the repair is complete we need to wait on the manufacturer to process the claim. This can take up to 30 business days. We do not release the unit till we are paid by the manufacturer or you guarantee payment in the event the claim is denied. If we notify you that your repair is complete and payment is made by manufacturer, you must pick up or arrange delivery of your unit within 30 days! Otherwise there will be a storage fee of $2.00 per day for keeping your unit at our location. If you don’t pick up or arrange delivery of your unit within 60 days of completion of the repair, we will consider the equipment abandoned and dispose of it at our discretion. If you would like to schedule a service appointment or a pick-up of your equipment, contact us! 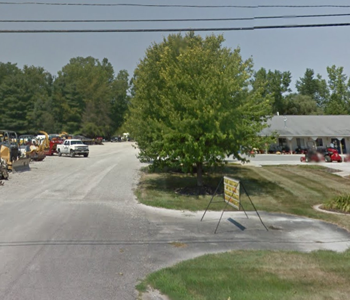 Serving you at 3 Locations throughout Ohio.